So after a botched attempt to shoot a marathon this morning in DC, I figured I’d take the time and go on a proper photo shoot – and apparently it revolved around lighthouses. The Drum Point Lighthouse at the Calvert Marine Museum in Maryland | Order a print of this image. 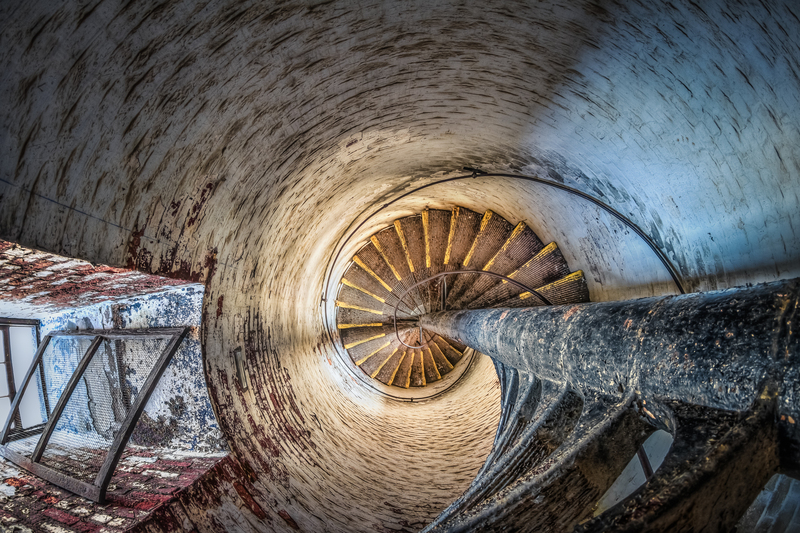 The staircase (190 steps) of the original Cape Henry Lighthouse in Virginia Beach | Order a print of this image.